Firstly, what must be understood is that in order for you to run sub 50 minutes for 10Km, you must be able to run below 5 minutes per kilometer for the distance. Now the reason we mention this, is that you will have to train at a pace faster than this speed on occasions. So, if your running has consisted of slow distance running, it is time for change. A time for a change of attitude and a new fresh approach towards your training. What we are looking at to start with, is being able to run 5Km’s in 4min 50sec per kilometer. The 5K paced run, you should not run faster than 24mins on these days. If you want to run a hard 5K then you must do so on the race day. Adhere to this advice for success with the program. Can you please explain day 3 and day 8? Thank you. really appreciate . I run 10K in 60 minutes… Want to run sub 50 minutes. Want to dry this program. Hi guys, great program – I am following it for a 10k on 7th October and really enjoying the interval session this morning (Day 3) just made it into 4:55 for each km 🙂 . Can I ask what is probably a stupid question – What is the purpose of the 1Hr 45min ‘time on feet’ session? As I am doing a 10k and hoping to do this in under 50 mins why do I need to run for that amount of time? Hi Russ, the 1hr 45 minutes time-on-feet is your aerobic run and is associated to Cardio endurance via the continuous run. So how did you go? Did this program work for you? This program worked for me. Before I got ankle injury, I could run 52 mins. After injury, the fastest time that i could run was 1 hour 5 minutes. Three weeks ago I decided to try this program and last week I could run 49 mins. Hi Steve, you could consider either doing a distance from 5 to 8k or do a 4k time-trial. If you go to the forums – Training Program Feedback .. you will note that the 4k time-trial we recommend at the start of the program. Could you please tell me what R in the program means .. standing still, walking, or jogging? For example, Day 03: R90-2min. How easy should the easy 30 min days be? I would like to complement some weight training along with this. Do you thing adding those in the 30′ easy days, can damage a lot the final results? I plan to run a 10k race in 8 weeks time. i really want to get below 48mins (to beat a very competitive show-offs time !). I’m 50 and started running 8 weeks ago. I can run 5k in 25mins. I’m presently running 3 times a week. Tuesday I run 30mins medium effort. Thursday 2k easy warmup then (30 seconds sprint /1 minute walk / 3 minute easy) x 6. Saturday – long slow run adding 1k each week – currently at 11k at 68 minutes. Will the sub 50 min program above work for me – or am I still a “beginner”. First of all I would like to thank you for this schedule. Today I did ‘Day 3′, but I was only able to complete the first two intervals of 2k. The third one was too much for me and I only did approx. 500meter. What is your advice? Should I retry this training session in, let’s say two days, or should I just proceed with day 4 (rest) and day 5 (1Hr 45min)? Hey, I got ankle sprain a month ago (22 Sept 2013) and I just finished my first marathon in 27 Oct 2013 with very slow pace (my marathon time was 5:18, avg pace 7:32min/km). Before I got ankle sprain I could run 10K between 50-52 min. So, is it a good choice if I try this 50sub training? If yes, could you please tell me the pace in day 1, 2, 5, 6 and 13? 2 minutes per km slower than 10K pace or just as easy as possible? I run 3 times a week 10km in each time. last week I did 51 min in a race and I decided that I am going to reduce it. I read the programme you offer in here and I ask myself if everyone can do it? personally, I believe myself and my abilities but still know that there is a limit. can you help me to get some more tips except the programme itself. I read the links you gave to me and it is incredible. I wish I will get a result around the one that this guy got. I will read more responses written in the forum and I am going for it. hope I will get the same support and encourage as this guy recieved. I have already read about the progress of some people who are using the programme offered in here and it encourage me to go for it!!! I am going to do it soon :-). I will open a thread and hope to get some tips along the way from you. I have already sent an e mail t o the address you gave to me, and the answer was to open an account by myself. how do I do it? 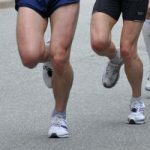 What is the difference between “60 to 70min easy distance” and “easy day of 30min running”? Does easy distance and easy running mean the same thing? Hi there, it does mean more or less the same, the difference is that when you doing 60 to 70 minutes easy distance, you are doing your longest run, when you do the 30 minutes, you will be feeling as though you want to go faster. This is when you need to keep it to easy running instead of running at a quicker pace, if you had a heart rate monitor, then it would be at a lower heart beat. I was looking for a good training plan to reduce my 10k time below 50min and bumped into your website. wow!! looks to be a real awesome plan that works for many runners. 10k run was after a recovery of 5 weeks from a bad calf (Soleus) muscle tear. I feel much better now and focus on having the calves stretched before and after the run. Please also let me know if I can have an account created so that I could monitor my progress with you . First Day :-Today was my first day with an easy(talk tested) 10k in 1:04. Please let me know if I can continue with the sub 50 plan. Day 5 (1h45min long run): I will be travelling that day and don’t have time for a long run. Can I do it on Day 4 instead, or will that be too close upon Day 3? Day 12 (5K paced run): I’m signed up for a local 10K race that day as well, but it’s a hilly one not suited for a PR. 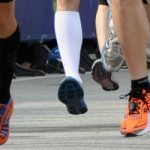 How would you suggest I manage this race in order to get the same effect as the planned 5K pace run? great and easy! You took me from 52′ to 49′ in just three weeks! So I think I can still do a little better. Does it make sense to introduce additional repetitions in the quality sessions, be patient and repeat the plan, or should I switch to a more demanding plan? 2nd 3-week cycle and again awesome progress. now I’ve got from 49′ to 47′, which means that in 6 week I have improved 5′ in the 10K!!! Not bad progress for a 50-year-old-dude. Thanks for this. -what do you thing of this goal? is it over or underambitious? (I did 1h54′ last April, before taking a break in the long distances and focusing on the 10K). 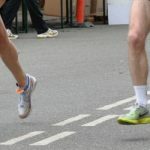 -how should I make the transition from the 10K training schedule to the half-marathon training? On using the 10k program for HM, if i understood you correctly, substitute the ‘longest run’ on Sat starting from 18km for week 1 and then increase it to 19km when we restart the 3 weeks plan? If the my understanding is true, I only do 1 long run every 3 weeks? Sorry to ask this again but I still don’t understand what the ‘longest run’ is? Is it just basically the same as ’60 to 70min easy distance’ but longer? Would you be doing a similar pace for every ‘easy’ run whether it is ‘easy 30min’, ’60 to 70min easy distance’ or ”longest run’? Hi! I’d like to register in your forum but it says that registration is disabled? I also want to start this training program and return some feedback from it (in case you want it). I started running 2 months ago and my best 10k was 57 minutes. My longest run so far is 18k in 2hours. I’m also running around 40k-50k a week (4 days a week) and everything’s seem to be ok. Last race was a 15k which I finished in 1h31m. Is it ok for me to follow this sub50 program or should I try the sub55 first? Some programs require at least 3-6 months of running before you can use it, is this the case of this one? Just a question. If I want to add in 2 weightlifting days in this plan, what days is the best days to do that on? If i start the cycle on a Tuesday. I followed this programme fairly closely – first tempo session perhaps not so successfully, but generally ok thereafter – and raced a 10k yesterday at sub 50 for the first time (sub 49 m). Just for comparison: last year I had 53:10. That track had more altitude difference, but the improvement is still significant and I enjoyed yesterday’s race much more. So thanks again and I am just thinking about to repeat the program and complete one more 10K still this year. Hi, I would like to register as a user at the forum but was unable to so. I have a 10k race in a months time and would like to try out the program. Currently my pb for 10k is 53 mins and I hope to do sub 50. Hi! Thanks for great great running programs at no cost! Much appreciated! With my life situation right now, it`s realistic for me to only find time for three, maybe four some weeks, workouts per week. So I guess the question is; should I skip the short, easy runs and focus only on the quality runs, or should I just follow the program but maybe expect a slower progress? Right now I follow the all the workouts on the plan, running every other day. Thanks for your reply! So if I understand you correctly, you’re saying “never skip day 3, 5 and 8” right? And then include the shorter easy runs when able to? What about the 5k run. Should I make an effort to make that one? As I run every other day I should get sufficient rest, don’t you think? I’ve been running consistently for almost two years now and the sub 50 program suits my fitness nicely. I guess if I were to push it I would work towards 47:30 on a 10k but for now the sub 50 paces are fine. Thank you very much. Really value your input as most of the time I feel a little lost when it comes to training plans. I’ll create an account on the forum and post progress (if any) there. Woke up with a bad cold today so guess that means a break.. This looks exactly what I wanted. Major 10k event in 3 weeks. My PR is 54.5 . I hope I can achieve something around 50 with 1 cycle of this program. I might be a bit more positive. Let’s see how it turns out to be. I may be more of a natural runner so I’m not too experienced with technical terms. Today I beat my 10k record which was 51:46 and achieved a time of 48:32 and I am aiming to reach the 45 minute benchmark by two weeks from today. My previous record of 51:46 was achieved 2 days previously and the only reason I beat it today was because I really pushed myself. I will start to follow the sub 45 minute program. Only today I found out that my dog passed away on Sunday. This motivated me to smash my record in memory of him. I achieved a time of 44:58! I don’t get it. This is a unusual training plan for me, or maybe I am a bit inexperienced. I mean, other training plans I’ve seen, 5k, 10k and so on are 12, 16 weeks long (doesn’t matter) but they tell you exactly what to do from day one to race day. This program is divided in 3-week cycles (well, two and a half with a rest period of two to three days if I understand correctly). So what is the point of doing exactly the same thing cycle after cycle ? Where is the build up in this ? And how is this going to apply to me ? Explaining: My 10k goal race is on April 1st 2018. I ran exactly the same race this year, which was my first race ever, and I did 55’13” net time. So my goal next year is to do 48 minutes or so. I finished a half marathon race two days ago and right now I’m taking my 3 days off. How am I supposed to start my 10k training plan ? Should I start with the off training period plan followed by the build up period plan and then begin with the cycles? And if so, how many of these cycles should I do before the race? And finally where is the tapering period before the race ? How long should it be and what training sessions should it include? Forgive me for bothering you with my noob questions but this is a very interesting program. The idea behind the program is to teach routine to start with. After a few cycles we provide an off-period, followed by a build-up routine before returning to the 10k program cycles before your event. 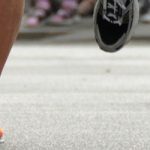 During all of this, the intention is for the runner to learn more about themselves and how to achieve the goals they have set. Our aim, is to assist the runner in understanding their own running and what works for them and how to achieve it. Hi Ed, thanks for your reply; although I must say I’m a bit confused. Ok, let’s say, as per your suggestion, next Sunday I go to the nearest track and complete the 4k time trial in 20 minutes (as it is more likely to be, because 5min pace is more than bearable for me for that distance). How should I start my training then ? How many cycles should I do and when should I take a break from those, how long should this break be and with what kind of training, when to start again with the cycles, given that I have about four months in front of me before the race. And, sorry for that, I have to insist; in every other training plan I’ve done (half marathon, all of them) there is a tapering period in the last two to three weeks before the race. In your cycle structured plan, I don’t see where that fits. Or maybe tapering is more suitable for longer distance races, half marathons, marathons etc. , I don’t know. Also where is the tempo run in the cycle? Could it be on day 12, “5k paced run” ? I did browse on the forums but I couldn’t find the answers, sorry. Hi Pete, consider sending us an email with the username you would like to use on the training forums, and we will create an account for you. Send to info @ time-to-run.com. I would really like to complete 10k below 50minutes and would like to try this 50m program..but my best 5km is probably 27m at the moment and best timing for 10km is currently 60m..
What is the 4km time trial? Would like to do that to the see if I should start with sub 50 minute program or something else. Hi there Liz, if you have a local 400m track, you could go run 10 x 400m for your 4k time-trial. On the program, you will need to do 2km sessions, so you could run the 2k loop twice to get your 4k time. The idea is to establish a marker for yourself, so that you have a starting point and can work out your pace needed for the various sessions. Hi guys im new to running. I managed 10k this am in 54mins and i am keen to progress. I will be starting day 2 tomorow. My issue is I am occasionally required to walk between 8-12miles in work and i never i am never given notice before hand. If im doing this program in the mornings before work will walking such long distances after my morning runs negatively effect my progression?